I have been talking with some friends lately about embroidery scissors. So I decided to do a post about the two I use. 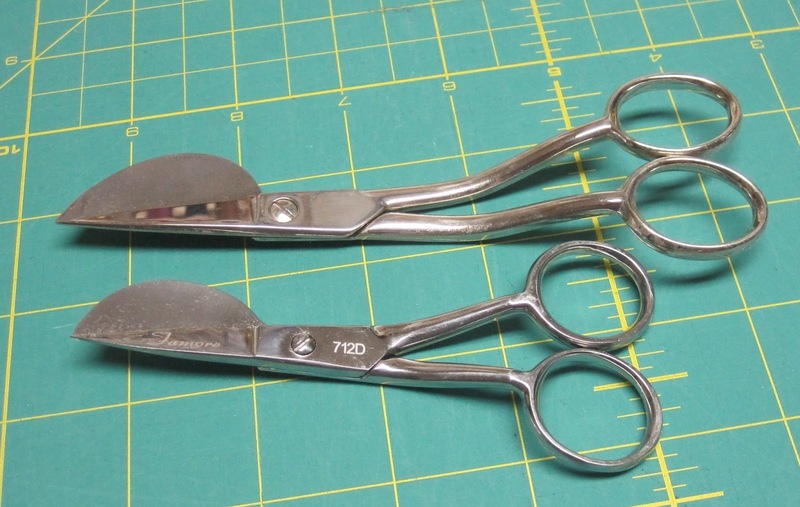 These are what I use for machine embroidery but you could use them for other types of sewing too. I think these are a must have for anyone doing machine embroidery. The double curve allows for you to get in close to clip those thread tails. When you try to clip them with regular straight scissors, the tip is always going to be pointing down towards your fabric allowing for a greater risk of snipping your project. I also like to use these for cutting all the jump stitches when my embroidery is done. See how the double curve lets you get to the tread tail and the blade of the scissors are almost parallel with your fabric. Now I am not going to tell you that by using these type of scissors you will never snip your project! You have to be careful and take your time. There have been a few careless times when that has happened to me. After you are done cursing just turn off your machine, grab your wine glass, go upstairs and call it a night! 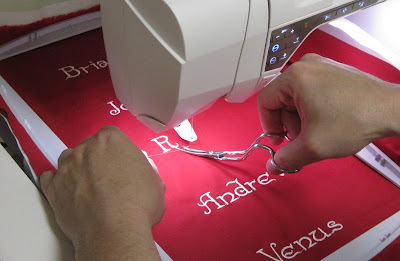 I use these duck bill applique scissors to trim off the extra fabric around an embroidered applique. I'm not sure if that is the proper name for them but its what I call them. The bill goes behind the fabric you are trimming. 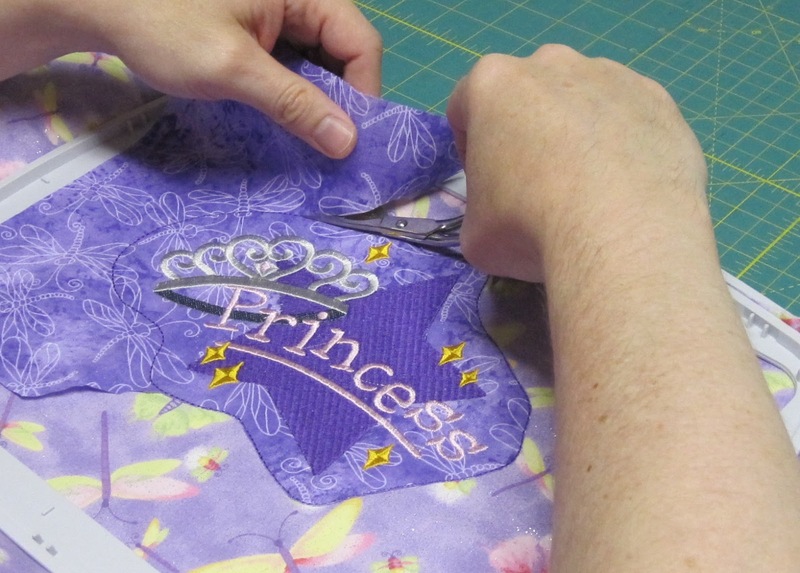 It helps you from cutting into your background or main fabric as you trim off the applique fabric. You can't see the bill in the picture, but you get the idea. Once again this is not fail safe, you do have to take your time and watch what your doing. It's important that everything is lying flat, so the bill does not catch any wrinkles or bumps and cut into the background fabric. 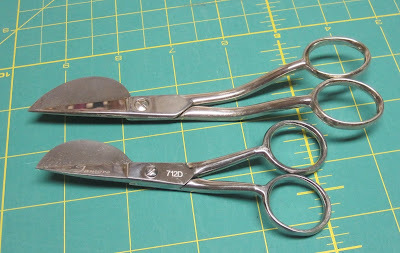 Are these the same type of scissors you use for your machine embroidery? If you have a different type that you like, I'd love to hear about them.